Want to know a little bit more about what this upcoming game to movie film is all about? What we knew before was that Aaron Paul was in it and it was all about fast cars and police chases. This new Need for Speed trailer reveals some more story elements. 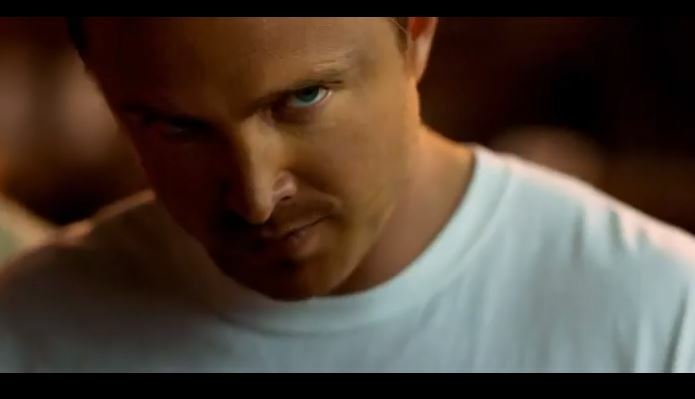 The new Need for Speed trailer shows that Aaron Paul was involved in some job that landed him in jail. And it seems that someone from the team or outside it either double crossed him or betrayed his close friend which resulted in someone dying. So bulk of the story I would think would center around him getting his crew back together and doing a job or heist that will satisfy his vengeance. It also looks like there will be crazy stunts like the helicopter carrying off the car while in the middle of an intense car chase scene. Then to feed more of that testosterone: with fast cars, of course there’s going to be women involved. Here it’s more of a love story which will be Aaron’s love interest… I will put my money on childhood sweetheart. I liked and didn’t like the trailer at the same time. Liked it because it looks like there will be good car chase scenes. Liked it because it’s effin’ Aaron Paul y’all! Didn’t like it because it might have shown too much. Unless there’s a more awesome scene than the helicopter carrying off the car as it goes off a cliff, then I’m going to be pretty bummed out. Regardless, I mentioned I will watch this anyway no matter what. Hope it doesn’t disappoint me (too much). Here’s the trailer below. Opening across the Philippines in March 2014, “Need for Speed” is distributed by Walt Disney Studios Motion Pictures International through Columbia Pictures.